Whenever a hygienic or sanitary design has high priority, fluid bed systems are the preferred solution in the food and feed industry. Together with a gentle and uniform drying result, fluid bed systems are capable to preserve a high quality of the handled ingredients. 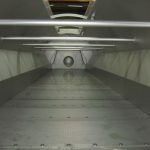 Fluid beds are used for drying, cooling , roasting, expanding, solvent removal, cooking, and heating. 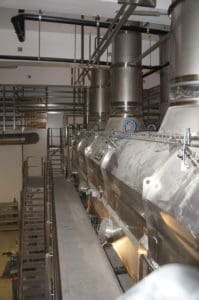 For gentle drying at lower temperatures and extended drying time, TEMA Process dryers use multiple temperature zones with air recycle for energy saving. 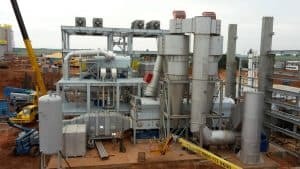 For high quality pectin extraction TP developed a system for stripping and drying of citrus peel and pulp : Washed peel and pulp , after dewatering are dried in a TEMA Process combined ethanol stripper / dryer with ethanol recovery. Dried Bread Crumbs are fine crumbs made from bread that has been allowed to dry until it is brittle. They are used as topping, a coating or as a filler. Tema does supply the complete line after the bread oven to mill dry and convey the bread crumbs. Low temperature dryers with extended residence time for gentle drying of starter and grower feed in hygienic design. Highly hygienic low temperature drying to preserve food quality in lactose powder with automated CIP systems. TEMA Process lactose dryers are used directly after centrifugation or as a final drying step after spray drying. Milling , drying and cooling. Precise control of color, shape and texture to meet the desired specifications. Pectin obtained from citrus peels is referred to as citrus pectin. Pectin is a natural, biocompatible, biodegradable and renewable polysaccharide characterized as an emulsifier, gelling agent, glazing agent, stabilizer, and/or thickener. For high quality pectin extraction TEMA Process developed a system for drying citrus peel and pulp. 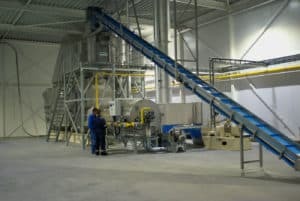 The TEMA Process Fluid bed dryers are widely used to dry orange and lemon peels and offer advantages such as good mixing of solids, high heat and mass transfer rates, ease of operation and maintenance and lower capital costs.